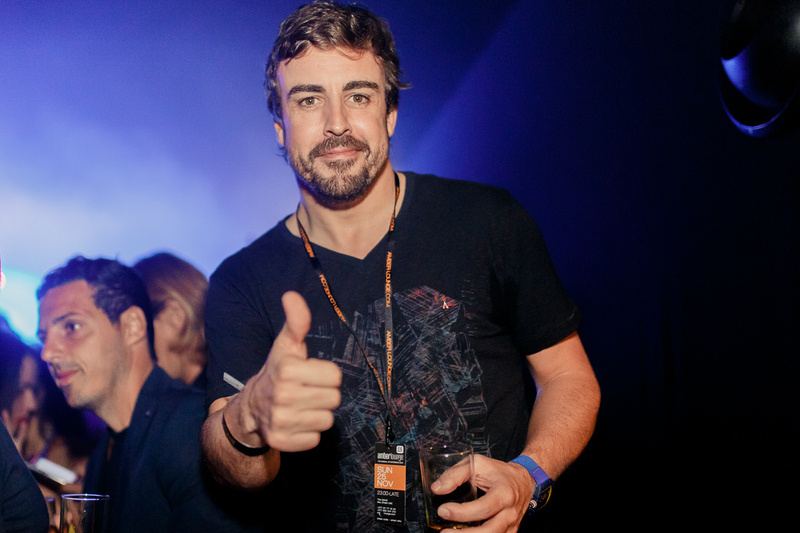 It was a night that will go down in history as Amber Lounge welcomed the Formula 1 drivers, teams and party-loving international guests for the celebration of the year. F1 drivers entered Amber Lounge’s luxury oasis on Sunday night and let their hair down for one of the greatest end-of-season parties to date. Fernando Alonso, departing from the Championship after 17 years, was joined by his fellow drivers Max Verstappen, Kevin Magnussen, Carlos Sainz, Esteban Ocon, Pierre Gasly, Stoffel Vandoorne, Marcus Ericsson, Brendon Hartley, Sergey Sirotkin, Antonio Gionivazzi. International cricketer Chris Gayle and former pro football player Michael Brown were also spotted in the crowd. 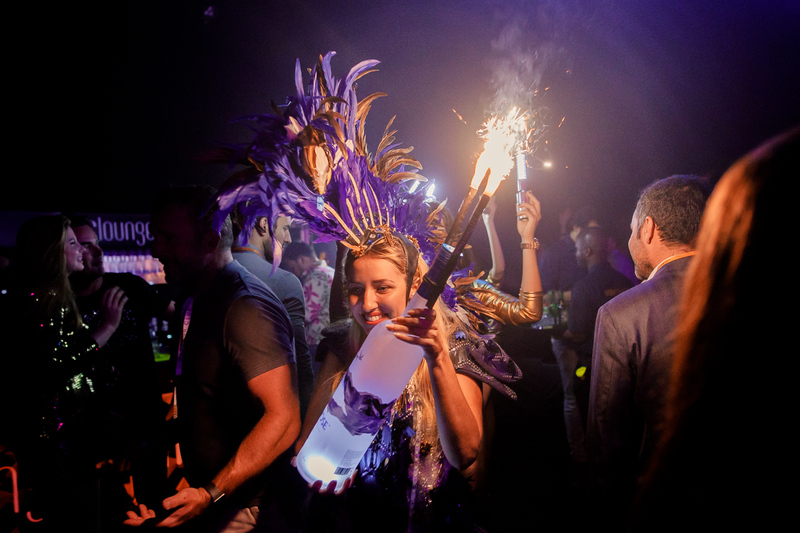 When the time came to say goodbye to the Spaniard, the club plunged into darkness for the ‘Black Out’ moment, then lit up with 17 specially designed bottles of Moët Champagne filled with sparklers and flashing lights. Each bottle signified a year he has competed in Formula 1. Emotions ran high as Sigala announced the exclusive bottle moment which was delivered in true Amber Lounge style, fueling the euphoric atmosphere. Joining Sigala on stage Alonso soaked up the elated vibes as the superstar DJ revved up the ecstatic crowd with an ultra-energetic performance. To add to the electric energy, the Grey Goose bar illuminated the exclusive party. The ‘For The Hunters’ inspired terrace area was a favourite for partygoers after a chic but relaxing vibe. Amber Lounge will be back in 2019 bigger and better than ever, with parties and luxury events and experiences both inside and outside F1. The next event, Amber Lounge Monaco on May 24th, 25th and 26th, will offer the ultimate in luxury race viewing on the trackside Celebrity Yachts, terraces or Paddock Clubs combined with a unique party experience and Amber Lounge Charity Fashion Show.